The car is the first-ever hybrid electric vehicle from the Korean carmaker, which is owned by Hyundai. It uses the same 2.4-liter four-cylinder engine and hybrid system, and is built on the same understructure, as the 2011 Hyundai Sonata Hybrid. But the Kia hybrid's exterior styling and interior design are entirely distinct from the Sonata Hybrid's, and it is intended to attract a different, perhaps younger buyer. It can be driven under light loads solely on electric power, at speeds up to 62 mph, and shuts off its engine when the car comes to a stop. 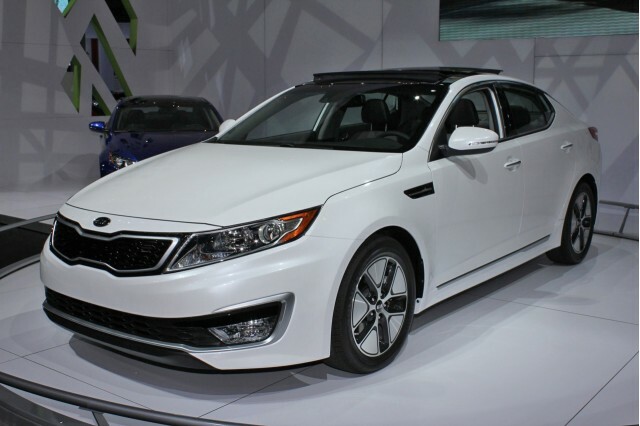 The hybrid Optima is projected to receive EPA gas-mileage ratings of 35 mpg city, 40 mpg highway. While the features and equipment are not directly comparable, the 2011 Toyota Camry Hybrid (31 mpg city, 35 mpg highway) starts at $26,675, and the 2011 Ford Fusion Hybrid (41 mpg city, 36 mpg highway) has a base price of $28,405. Both are slightly pricier than the 2011 Kia Optima Hybrid, at $26,500, although the hybrid Optima is actually undercut by its Hyundai Sonata Optima sibling, which starts at just $25,575. While the Kia Optima Hybrid is running in electric-only mode, a virtual engine-sound system broadcasts recorded engine noises to "help notify people around the car that it is approaching." 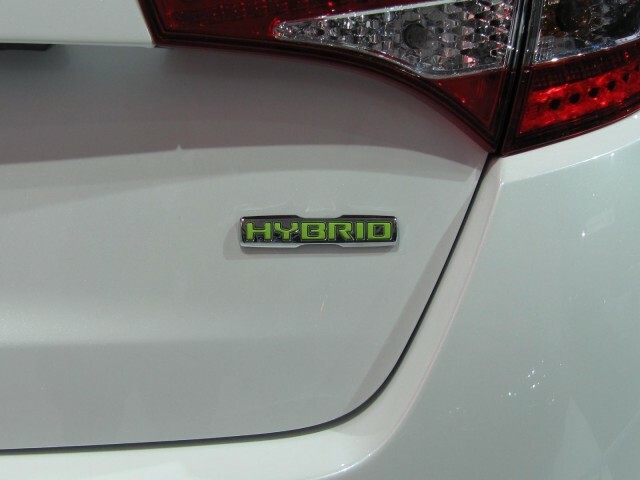 There are two models, a standard hybrid and one fitted with a Premium Technology Package. Both include styling unique to the hybrid Optima, including the front grille, headlamps, front and rear lower bumpers, and LED tail lamps. Other standard features on all Optima Hybrids include fog lamps, heated outside mirrors, an eight-way power adjustable driver's seat, an LCD instrument cluster display, dual-zone temperature control, and a ski pass-through in the fixed rear seat back. The $5,000 Premium Technology Package adds heated and cooled front seats, a four-way power adjustable front passenger seat, heated rear seats and steering wheel, a panoramic sunroof, a navigation system with backup camera and Sirius real-time traffic alerts, and an eight-speaker Infinity audio system. The 2011 Kia Optima Hybrid's powertrain, including the lithium-ion battery pack and electric motor, are warranted for 10 years/100,000 miles. The rest of the car is covered by a 5-year/60,000-mile limited warranty, plus a roadside assistance plan for the same intervals.